Panic attacks can affect anyone. After my interview for the CELTA course which I was trained on, probably the easiest interview of my life, I was walking to my friend’s house thinking it over. As I walked I started to hyperventilate, and I thought I might be having an asthma attack. I couldn’t understand what was happening because although I have asthma, it causes coughing fits, not ‘normal’ asthma attacks. When I got to her house, I couldn’t really talk, and I couldn’t calm down. I started to get pins and needles in my fingers and toes, gradually moving up my limbs. She phoned 999 because neither of us knew what was going on. When the paramedic came, he gave me oxygen and explained what was happening. It took at least 15 minutes for me to start breathing normally again and for the pins and needles to go away. I suspect the thought that triggered the attack was probably me worrying that they wouldn’t accept me onto the course, though I already knew they had: it was my final year of university and my entire plan after my degree was based around getting a CELTA and becoming an ELT teacher. It has only happened to me once so far. I had the first steps towards another one when I was ill at New Year a few weeks ago, but thankfully my amazing best friend was looking after me, and falling sleep due to exhaustion meant I didn’t go all the way into the pit this time. Apparently, 2nd February is Time to Talk Day 2017, a UK event “to get the nation talking about mental health and keep the conversation going round the clock”. For a combination of reasons, mental health is an area I have become more and more aware of over the past couple of years, and I’ve been thinking of putting together a list of connected resources for a while. This seems like the perfect opportunity. Two years ago, Laura Patsko described the conversation starters which she was given for Time to Talk Day 2015, something which you could use yourself or with students. Phil Longwell made me aware of this year’s Time to Talk Day through his very open interview with teachersasworkers.org about how mental health has affected his life and career. My panic attacks they come from the tiniest smallest thoughts—and if you don’t know anything about panic attacks you tend to think that panic attacks are something huge—that they are huge, really life-threatening situations but for me they can be the smallest things. It starts from a tiny thought—and that thought can be a trigger which sets you off. Then you’re into a cycle. A panic cycle, they call it. The UK’s NHS website has a page explaining the symptoms of a panic attack, with a video showing how to tackle the vicious circle that starts it, and a link to tips for coping with a panic attack if you’re having one now. Elly Setterfield talks about her self-confidence issues and offers advice on what to do when you can’t stop criticising yourself, in which we learn about the inner critic, and how to respond to it constructively. She has also created an A-Z of self-care for teachers. Marie Delaney has a shorter post in a similar vein about how to take care of yourself so that you can take care of your students. Here’s a post from WeAreTeachers asking the question Should teachers take mental health days? including advice on what to do with one of those days when you decide that they are necessary for you. Not specifically ELT, but the ‘Behave‘ episode of the language podcast The Allusionist is about how to defuse the power of words going round in your head. James Egerton has a post about ways to help students diffuse exam anxiety, which I think could be useful at other times too. Liam Day tells you how to beat depression and anxiety in the classroom. Ricardo Barros describes his experiences with depression and how he sought help to get through them. Anna Loseva reports on a session she attended about Frustration Regulation which was run by Sam Morris, including ideas like a frustration journal. For those on the outside looking in, first, consider how lucky you are that you don’t have first-hand experience of this. Then read about how to support a friend who is struggling with their mental health. Let’s be clear…mental health issues are simply health issues. Emma Johnston talks about what a mental-health friendly language school could and should look like. One of the things Phil mentioned in his post was the extra pressure that those of us living and working abroad add to our lives by choosing to move away from home, often into places where we don’t speak the language or understand the culture. Here’s an 8-minute talk on helping teachers settle in, which I did at the IH DoS conference a couple of years ago based on my own experiences of arriving in many a new place. It was designed for managers/employers and not directly related to mental health, but it might give you ideas of what to ask for/about on arrival, especially if anxiety is a problem for you. Working with difficult colleagues can also be problematic, so here are some tips from Chris Wilson to help you. Sarah Mercer did an excellent plenary talk at IATEFL 2017 about psychologically wise teachers. The third section includes tips on how to look after yourself. OUP have a webinar called ‘Destress your classroom: stress management and wellbeing for teachers and students‘. Burnout is also an issue which can affect people in many professions, particularly the so-called ‘caring professions’. Clare Maas has quotes from various teachers on avoiding burnout, and a list of tips and suggestions, of which I think the final paragraph is particularly useful. Roseli Serra describes her experience and those of teachers she has interviewed, then offers advice on how to reduce the likelihood of burnout happening to you. Andrea Camara also has advice about how to reduce the stressors in your life that may lead to burnout. Rachael Roberts describes the ‘four burners’ theory and explains how this can help you to understand how to avoid burnout. Christina Jones describes some of the research into teacher burnout and how a technique from positive psychology called PERMA could help you out. Chris Mares, Theodora Papapanagiotou and a teacher with ADHD also contributed articles to the iTDi (International Teacher Development Institute) issue on Mental Health at the same time. Marc Jones is blogging about his ADHD and how it affects his life and his job as an English teacher. 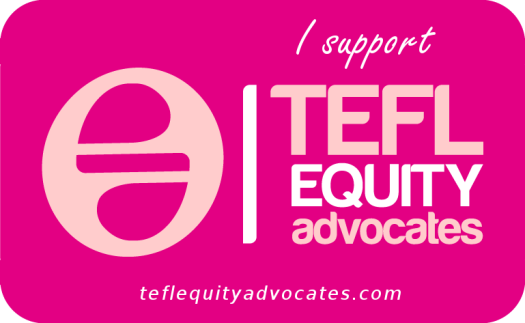 Other people who have talked about their experiences of mental health issues as English language teachers include Lizzie Pinard, and the podcasters at TEFLology. Lizzie has also summarised a workshop she attended on promoting positive mental health, particularly for LGBT+ people, but with tips that everyone should find useful. If you’d like to discuss mental health with your students, AllAtC has a B2+ level lesson plan based around mental health and employment. The Mental Health Friendly Initiative has run competitions for mental health lesson plans, though I’m not sure if they’re available to download. They have various resources for promoting social inclusion on their blog (thanks for recommending it Phil). 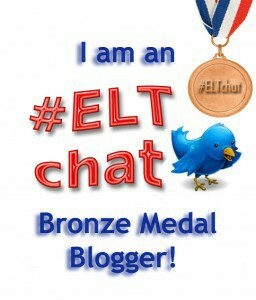 The 8th March 2018 Twitter #ELTchat was about Teachers’ well-being and mental health, including stories, possible causes for poor mental health, and how things are slowly starting to change. Although epilepsy doesn’t quite fall into the same category as the other mental health issues discussed above, I feel it’s also important to share Kate Cory-Wright’s story of Coping with Epilepsy in the World of Education, and this post seems like the best place to do it. If you know of any other useful links or if any of these don’t work for you, please let me know so that I can update the post. Together we are all stronger. During my Delta I gathered a list of links which I returned to again and again. I’ve also seen many useful links since that I wish had been around before I started my course! I thought I’d share these with you, and I will try and keep the list up-to-date as I find more things which I consider useful. Please let me know in the comments if you think I have missed anything or if any of the links are broken. Before you decide that Delta is the right qualification for you, take a look at this list of alternatives from Jim at SpongeELT. Before doing Delta I had in my mind that Delta was an impossible-to-conquer beast that only those teachers with years and years of experience would even consider taking on. Now, whilst I certainly wouldn’t recommend taking on Delta with less than two, perhaps even three years of experience, I would, however, recommend viewing it differently than I did. You see, I was looking at it the wrong way. Delta is not just exams and ridiculous amounts of assignments, LSAs, etc., it is a programme in true professional development. YOU are the starting point and Delta then makes you look at that and then look at where you want/need to be. It is hard. It is long. But, it is massively worthwhile. If you want everything in one place, try ‘How to Pass Delta‘, a very reasonably priced e-book written by Damian Williams, who was one of the tutors on my course. Another excellent resource is ELT Concourse’s Delta index, recommended by Katy M. I particularly like the myth-busting they do about Delta. I collected all of the Delta posts I have written on my blog into one page. The one which is probably most useful is called Preparing for the Delta, including advice about some good books to read before the course and a lot of ways you can improve/brush up on your Word skills in preparation for all of the typing you’ll end up doing. Lizzie Pinard, who got a Distinction in all three modules, has been writing an incredibly useful series of posts about the Delta since she finished her course. Here is her annotated list of the resources she read before and during the course. 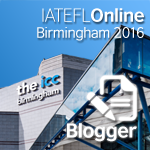 Chris Wilson wrote a summary of an ELTchat entitled ‘How to survive, and make the most of, your Delta‘. Chris also recommended tools he uses to keep track of references from his background reading for Delta, and shared his Delta diary from throughout the course. Anthony Ash did the Delta full-time in Autumn 2014, and wrote a series of posts about his thoughts on various things that come up during the course. These cover the highs and lows of someone going through Delta, and give a good overview of what the course is like. He has also written a series of posts offering a general introduction to the course, particularly useful if you have no idea what it is or how it works! Olya Sergeeva has written about her Delta too, as has Emma Johnston. If you’re considering doing a Distance version of the course, but are struggling to find a local tutor, Alex Case may be able to help. Finally, although this is advice designed for MA students, I think Laura Patsko’s tips on how to recover from an MA can definitely be applied to Delta candidates too! I created a ‘Delta’ group on Quizlet, which contains all of the Delta-related flashcards I made/could find. Quizlet is a great resource to help you brush up on your terminology, which is especially useful for parts one and two of Paper One of the exam. 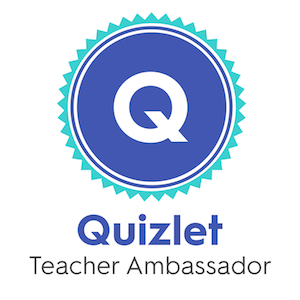 If you have never used Quizlet, here is my guide to show you how to make the most of it. There is also an app available for Apple devices. The Cambridge website has a list of materials for Delta candidates, including various past papers. David Harbinson has compiled a list of books and resources for Delta Module One. James Fuller has a guide showing you how to prepare for the exam. Dale Coulter created a step-by-step guide to the Delta exam, divided into one post for each of the two papers: Paper One; Paper Two. Lizzie Pinard did the same: Paper One; Paper Two. She also created a list of useful resources to help you revise for the exam, as well as a countdown which you can use as a last-minute checklist to make sure you know everything, or a starting point to plan your studies. Ricardo Barros describes how he prepared for the exam, as do Yuliya Speroff and Sérgio Pantoja. I’ve written a post with ideas about how to lay out your answers in the exam and information on how I prepared for it (though this is now perhaps out of date due to changes in the exam since I took it). Emma Gore-Lloyd made an infographic with questions for evaluating the effectiveness of a test, relevant to Paper 2 Question 1, and much prettier to look at than a lot of the things I was revising from! 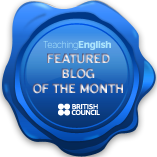 You can also find a guide to the exam on ELT Notebook and tips from Lu Bodeman. Roya Caviglia has created a flowchart with a breakdown of the marks for each section of the exam. Barry O’Leary has general tips for how to prepare for the Delta exam and tips for dealing with Module 1. Elliot Brett wrote about how he felt about doing the exam and his tips for success. Jamie Clayton reviewed the Distance Delta Module One course. Information about all of my Delta Module Two assignments is available on my Delta page, including a summary of feedback on two passes (one merit for an essay) and two fails, so you can get some idea of the problems I had and what I learnt from my experience. At the other end of the scale, Ricardo Barros tells us how he got a distinction in at least three of his LSAs (nobody ever finds out about LSA4!) and shares his bibliographies. He has also shared the bibliographies from Konstantinos’ LSAs, mostly focussing on young learners. Stewart offers practical tips for writing your background essay and lesson plan based on his experience from his first two LSAs. Lizzie Pinard gives you her reading list and feedback from her LSA1 on lexis (collocations). 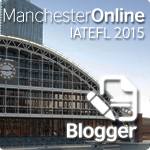 Jim Fuller from Sponge ELT has a list of tips for the whole of Module 2, along with his reference lists for all of the assignments he wrote. Matthew Smith shared his Delta Module Two assignments and Joanna Malefaki shared her grammar one and her vocabulary one. Jemma Gardner shared her experimental practice assignment, on the subject of Dogme. Ricardo Barros has shared an example of some of the materials for his LSAs on phrasal verbs and listening. ELT notebook also has examples on developing fluency and phrasal verbs. Emma Halliday shared an example of a listening essay (merit) and lesson plan (pass). Please bear in mind that Cambridge does not take plagiarism lightly, and it can result in you being banned from the course – these are examples only, so please do not copy from them! Talk TEFL has a Delta LSA survival kit full of lots of tips and decoding some of the many acronyms on Delta courses. Katy M has written about her experience of doing Delta Module Two, including some practical tips for how to reduce your stress levels. Jamie Clayton wrote some notes from different weeks of the Module Two course, including tips for planning lessons. Christina Rebuffet-Broadus and Jennie Wright have written a book called ‘Experimental Practice in ELT‘ which came directly out of their experiences of Delta Module 2. It includes lesson plans and ideas for the five most popular topics for the Experimental Practice part of the Professional Development Assignment. It’s available from the-round for a very reasonable price. Mike Harrison runs the Experimental Practice Academy blog, including interviews with various people about their Delta experimental practice. And if you need a bit of a laugh, I would highly recommend The stages of a Delta assignment, all of which I have definitely experienced! You could also read The Secret DoS on why we should banish the word ‘practise’ from our aims. Information about my Module Three assignment, on teaching exam classes, with a specific focus on IELTS reading and writing, is available on my Delta page. Jim Fuller at Sponge ELT has written a very comprehensive guide to what Module 3 is, ideas for how to approach it, and supplied a very long reading list you could use as a starting point. An overview of types of syllabus was a useful primer for different types of syllabus, although I would recommend reading about them in more depth before you write about them. Jonny Lewington shared his Module 3 essay on young learners, for which he got a distinction (well done!). He also has a related book list on his blog. Robert William has shared his Module 3 essay on IELTS. Please remember that these are samples only: Cambridge looks on plagiarism very seriously – if you copy sections of these assignments, you are likely to be disqualified from the course. Skills are reading, writing, listening and speaking. Sue Swift has a 9-minute presentation introducing skills and sub-skills, with particular reference to listening and speaking. Rachael Roberts has a post which asks What do we mean by speaking skills? This is useful as a starting point to help you think about sub-skills and come up with a more specific speaking aim for an LSA. Systems are grammar, lexis, phonology and discourse management. I looked at conditionals (grammar) and multi-part verbs (lexis) for my two systems LSAs. For the latter, I found a couple of particularly useful articles in the Macmillan Dictionaries magazine, including one about the pronunciation of phrasal verbs, by Adrian Underhill. You can find my full bibliography in my assignment on my Delta page. Emma Gore-Lloyd is doing the Delta at IH Seville intensively in autumn 2014. She’s writing a series of posts including some reflection questions for her weekly blogging. I have a list of bookmarks on diigo to which I regularly add. I tag all of the ones I think are relevant to Delta. You can subscribe to the list to find out when I add anything new. Remember that it will all be over at some point, and you’ll be able to go through the post-Delta phases described by Joanna Malefaki. And finally, if it’s all getting a bit much, go and see English Droid.